Race 1 and Race 3 live on Rai Sport 2 of the second round of the season of the Italian Formula 3 European Series. 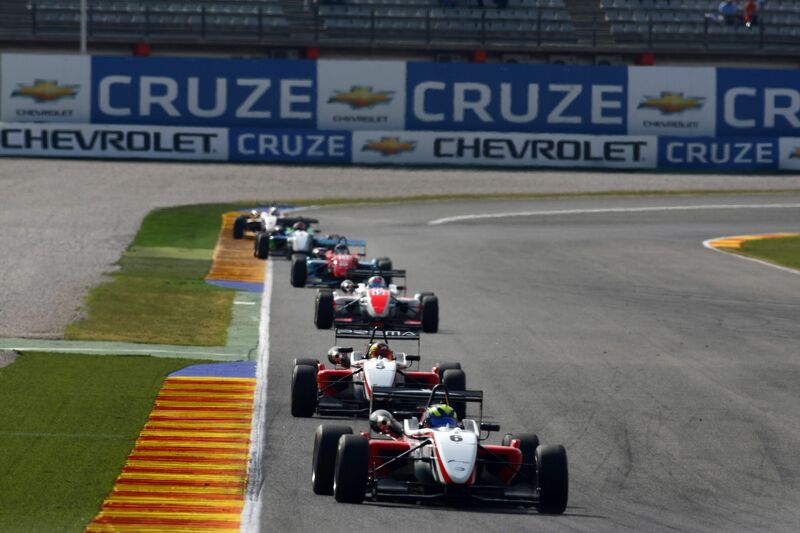 02/05/2012 - The path of Formula 3 European Series continues from Budapest with the 11 drivers competing on the twisted Hungarian circuit. After the first three races on the circuit of Valencia, a strong Prema Powerteam monopolyzed race one and race 2 podiums but in Hungary the fight is going to be open with all the protagonists of the championship hunting the victory. In the test held last week, the best performance was set by Eddie Cheever, followed by his team mate at Prema, Brandon Maisano, then Riccardo Agostini was close to them on the Mygale belonging to JD Motorsport. The driver from Padova performed well also in the recent tests of Monza and Mugello and therefore he will certainly be among the protagonists of the racing weekend that will side the WTCC World Championship. Team BVM wiil line up three cars, one to race 3 winner in Valencia, Patric Niederhauser, one for the Canadian with Italian origins Nicolas Latifi and one for Mario Marasca. The Brazilian Henrique Martins, the current classification leader, will be in Budapest to defend his leadership first of all from the attacks moved by his team mates at Prema, but also by all the others. The young driver of Euronova, Sergey Sirotkin, will have a double commitment at the Hungaroring too as he will be competing in the races of the Italian Formula 3 Euroseries as well as in the double race of the Auto GP. On the ranks of team led by Vincenzo Sospiri the Japanese Yoshitaka Kuroda will try to counter-charge after the shady exit of Valencia. The two 'baby drivers' of team Ghinzani are also ready for the second round of the season that comes after last season run in Formula Abarth, as in the case of several other protagonists of the European sason of the Italian Formula 3. The weekend programme will be quite intense and drivers will be on track starting from Friday morning, when at 10.00 (GMT+2) the first free practice session will officially open the weekend. Green flags to the second free practice will be exposed at 12.45, while the double qualifying session will follow at 16.55 to decide race one and two's starting grids. Race one (22' + 1 lap) will start on Saturday at 13.20 and will be covered live on Rai Sport 2. Race two will start at 18.05 (recorded on Rai Sport at 23.30), while the green lights of the sprint race (15' +1 lap) will go off on Sunday at 10.15 (live coverage on Rai Sport 2).